Please support this petition with your signature and by sharing it with other dog lovers! Allowing dogs on public transport could replace millions of private car trips in Sydney every year! Dog ownership has many proven health benefits (mental & physical) and therefore it is great to see it is on the rise across Australia. 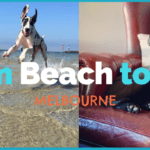 In Sydney alone there are more than 800 000 registered dogs, which means that roughly 40% of the households have at least one dog living with them. According to the research by the University of Sydney there are 2.4 million private car trips made with dogs in Sydney each week. The survey, published in an international transport journal, examined a series of popular activities that people do with their dog. 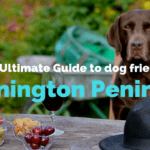 They looked at the regularity of trips such as a taking the dog for a walk; visiting dog parks or other recreational areas; visiting family, friends or the vet. Research also indicated that the amount of private car trips could be reduced if dogs were allowed in public transport. It also showed that people would do more with their dogs should they be able to use buses, trains and ferries. Up to 14% of dog owners have not visited a vet due to lack of transport available for them, which is a serious concern for the community. We believe dogs should be allowed to use public transport in a modern urban society. As a matter of fact, this is the case across all the major cities in Europe such as London, Paris, Berlin, Vienna, Zurich and Copenhagen. Vienna and Zurich have been rated as the world’s most liveable cities for years. They all have adapted to the needs of the growing pet ownership in urban environments. Allow dogs to use public transport such as buses, trains and ferries across Sydney. This proposal is in line with the proven policies across all the major cities in Europe and the needs of the modern urban living. According to the University of Sydney’s research, 95% of dog owners are in favour of allowing dogs in public transport. This means allowing dogs to use public transport will positively affect the lives of more than 1.5 million people in Sydney alone! 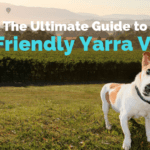 As per the Companion Animals Act, dogs must remain under efficient control by their owners and on the lead at all times and not to disturb other travellers. Please share with your friends! Thanks! Your signature will be counted and shown in the below signature list once you click the link in the confirmation email you received. Thanks so much for your help! Didn’t get the confirmation email, experienced any other problems, have questions or want to get involved? Please email us, we are happy to help! 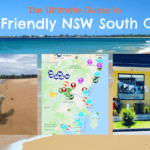 Find out where your dog is welcome in some of the best holiday destinations near Sydney!